The idea of being an entrepreneur has been in your head for a long time. You know about the type of business you want to start, but you just don’t know how to take your idea and turn it into a reality. If you read every piece of content related to entrepreneurship, startups and developing a business, but you haven’t applied any of the information yourself. Basically, you are a wantrepreneur. A wantrepreneur is a person who loves the idea of entrepreneurship, constantly talking about becoming one, but all they do is talk, they never become a real entrepreneur. At some point, you have to stop talking and stop the constant consumption of information, without taking any action. Entrepreneurship is all about stepping up and making things happen. Time is a limited resource we have. Opportunities have time factors placed on them. Therefore, your opportunity to become an entrepreneur may pass you by, because you wasted too much time thinking, rather than actually doing. Once and for all, let’s take the steps to take your entrepreneurial idea out of your head, and launch it into existence. You have so many ideas you want to pursue, but the key to success is focusing on building one business at a time. This is a time-consuming endeavor. Your attention can’t be focused on trying to develop several businesses as one person. None of them will flourish because you’ll be jumping from project to project, never putting in enough time on any of your business endeavors. Once you have determined the type of business you want to start, begin researching the existing marketplace. One of the first things to research is your competitors. You will have to know about the current products and services that they offer. Find out their pricing, and do some digging to understand how they determine their pricing. Also, what is the demographics of the customers that they serve? Do they operate on quantity, or are they more focused on quality? Know the competition better than they know themselves so that you can be better able to differentiate your business. How will your business operate? You are just starting out, so will you try to place yourself within a traditional office setting or will you work online? Business more than likely will be slow starting out, so your best option will be to operate online. We have written an article dedicated to starting an online business. Read it for further information on how to start the process. After doing all this, you should know be serious about finally starting your business. Now you will need to incorporate your business so that it is identified as existing. This will have to be done through your secretary of state, or through the department who handles business filings in your country. Doing this will determine your business’s taxes, level of personal protection in regards to any business issues that may arise, and it is needed if you will be seeking a business loan via a traditional bank . You are the only person who knows about your business, besides a few family members and friends. 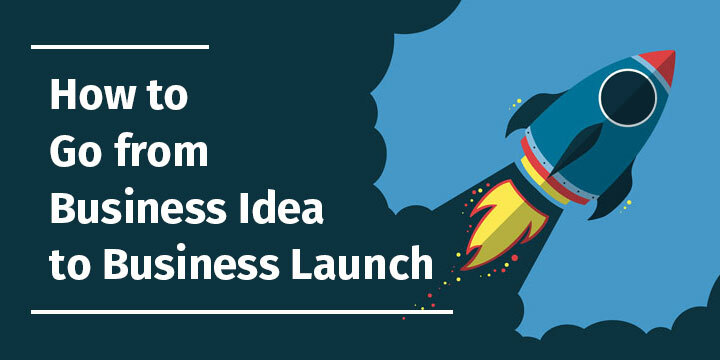 Even though your business may not currently be in operations, you can still let people know about your plans to launch your business. It is in your best interest to start making contacts and begin to collect people’s information. Don’t wait until your business is launched, and then you are playing catch up, hastily trying to drive people to your business. Networking will be a must. Go out to events related to your business. Meetup and Eventbrite are great places to learn about when such events are occurring. Meet people who are in your field of work, they will be a great source to learn business information from. These people may even have an influx of customers, and will be willing to pass you along those people they no longer want to work with. As a new business owner, you will take what you can get starting out. You definitely want to make contact with people you identify as potential customers. You can do this by going on forums specific to your business and starting conversations with the people who visit them.Ask them questions about what they want or need for a product or service. Let them know you are in the process of opening your business and you will be happy to serve their needs. Exchange contact information and keep them updated on your launch date. Interacting on social media is also a big plus. People on social media are always expressing their opinions and about products and services. As you do on the forums, start the initial conversation and build from there. We live in a world where people have many distractions competing for their attention. Therefore, your business’s marketing has to grab people’s attention, leading them to getting more information about what you have to offer. What value are you providing your customers? How are different from your competitors? These questions help to shape the communication of your brand, developing the direction of your marketing and sales initiatives. Your business must not only be good at attracting people, you must also be able to get people to conduct business with you. Do you want a lot of viewers however make a little money? Or do you want a lot of viewers and possess the ability to convert those people into paying customers? Your brand is a big part of this process. Social media is the way most people communicate these days. Facebook, Twitter, Instagram and LinkedIn are the commonly used platforms for entrepreneurs seeking to interact with their target market. The hard part is maintaining active participation on all of these channels of communication. You may start off strong, but once you get busy with developing your business, it can take weeks or months for you to update your social media profiles. Starting out as a one person operation. Try to focus on 1-2 social media platforms daily. These will be the places you post to every single day, based upon a set schedule. For the remaining social media platforms, participate in them every other day. Set a schedule to remind you of doing this. This way, you are still maintaining an active presence, you just are not forcing yourself to spread yourself thin everyday. Any actions with no goals directing them will lead to nowhere. You need to have goals in place that business has to accomplish. This helps to focus your decision-making and to implement only effective actions. New business owners waste time on unnecessary things because they have no set guidelines to provide them with discipline. If someone want to achieve growth in your business, one must have continual progression to work towards. What are some goals that you can set? I want my first customer in 5 days. I want 5 customers within 30 days. I want my business to make $40k in its first year. I want to triple my business revenue in its second year of operations. Having big goals that are attainable, push you to work hard to produce your desired results. Write out a list of your business goals and review them every day so that you can ensure you are working towards them. Check off the list, when goals are accomplished and add new goals for growth. Now your business is ready to launch. You have worked hard preparing for this day, it is time to become an actual business, by making money. When it comes to launching your business, make it a week or better yet months of non-stop hustle. Walk into businesses to see if they need your products or services. Introduce yourself to people with your card in hand. Make announcements on your social media profiles. Stay busy working to drive customers into your business. Launching a business involves a lot of work. But that initial work is the easy part. Once your business is officially in operations, the real work begins. You will have to hustle like you have never hustled before, in order to make your business successful. It takes a lot of work, but that work pays off when you have built a successful business, that was once nothing more than an idea. Looking to incorporate your business in Singapore. Rikvin is leading one-stop Singapore corporate service provider, which offer's a range of corporate services to ensure that your statutory compliance requirements are met. Contact us now for a free consultation.